It’s that time of the year again….!! 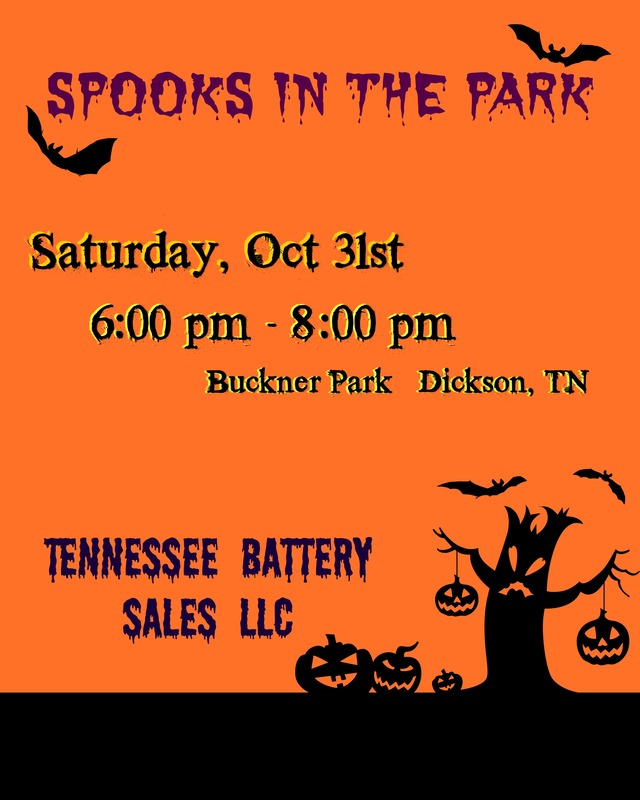 There’s a lot going on in Dickson this Halloween, but make some time to swing on by Buckner Park and visit Tennessee Battery and many more local businesses Saturday, 10/31/15, for Spooks In The Park!! 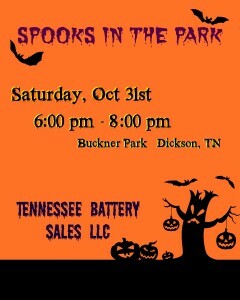 Starts at 6:00pm, goes until 8:00pm (or until the candy lasts…)!! !